When it comes to sonar technology, Side Imaging is one of the most advanced sonar features a fish finder can have. That’s because, with a feature such as this, you can obtain a much better picture of the bottom, and locate way more fish than with traditional sonar. However, if you’ve never had a fish finder before, and you would like to add one to your fishing arsenal, chances are you’ll be overwhelmed by the variety of brands out there, and by the multitude of features offered by most advanced fish finders. On top of that, understanding how SI technology works, and what exactly it can do for you, is really important before purchasing a depth finder with this feature. I hope the next part of this post will help you make the right choice. Now, before I get into detail and explain how this type of sonar technology works, it’s important for you to know that not all manufacturers name it the same. You’ll find different terms for it due to copyright reasons. 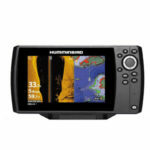 For example, Humminbird calls it “Side Imaging”, for Garmin is called “SideVü”, while Lowrance calls “SideScan Imaging”. It’s essentially the same technology, but depending on brand, the transducer used, and other factors, there are slight differences. Throughout this post and this whole website, we’ll refer to it as “Side Imaging”, “SideScan Imaging”, or “SI”. Or, if it’s a specific post, dedicated to a specific fish finder brand, we’ll call it as they call it. Your average fish finder with Side Imaging comes with a special type of transducer, which normally must be mounted on the outside of the boat’s transom. It uses two sonar beams, one on each side of the boat. These sonar beams are aimed in a right angle from the path of the boat, and typically can cover up to 300 ft (91 m) of water, on each side (depending on unit). Most SI sonars can be operated at two frequencies: 800 kHz and 455 kHz. Now, the image that materializes on the screen might be a bit difficult to understand, if you don’t know how to look at it properly. As you can see, Side Imaging offers a view of the bottom from the above, but with a bright-white line in the middle, and two darker bands on each side of it. Each dark band is continued with what it actually appears to be the bottom of the water. The following photo should speak for itself. As you can see, your boat is in the middle of the image, on top of the bright-white line, which is the turbulence created by the motor of the boat. The darker bands from side to side of the white line actually stand for the water column under the boat, from top to bottom. But since it’s a 2D image, they appear flat on your screen. Whatever fish or structure are displayed in these dark bands are normally suspended in the water column under the boat, on the left or right. The water bottom planes, on the sides of the image actually touch each other, but appear apart from one another, because the water column is displayed flat in the middle. Fish appear as white dots or elliptical shapes on the screen. You’ll see that some of them cast shadows, which means they’re more or less above the bottom. In general, the farther the shadow is cast, the higher in the water column the fish. Baitfish appear as cloud shapes. Ditches and drops appear like dark shapes or lines. Trees, rocks, grass or any other structure can immediately be distinguished, this being one of the main advantages of this type of sonar technology. First of all, a sonar of this sort will point out a lot more fish than traditional sonar. If you have a fish finder with a split-screen function and you’ll conduct a scan of a certain place, while observing both side view and regular sonar view in split-screen, you’ll see that many fish detected by the side imaging won’t show on the standard sonar. Second of all, since it scans the water from side to side of the boat, it allows you to determine immediately where exactly a fish is in relation to your boat. This makes it much easier to place the bait, and almost always results in a bite. Another advantage is coverage. SI sonar covers a rather wide surface of the water, not just the portion of water that comes under the boat. In other words, you may miss many decent fish with a regular sonar, just because they were placed outside its radius, while Side Imaging can reach quite far out, and detect them for you. Last but not least, and this is a huge plus, SI technology allows you to easily distinguish between structure and fish. For example, in traditional sonar imaging, the branches of a sunken tree may appear like fish returns and delude you, while in SI you’ll be able to see clearly where the tree’s branches are, and whether or not there are fish hidden among them. 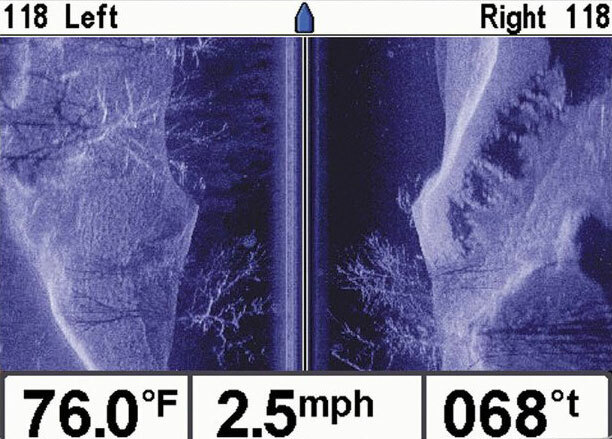 Maybe one of the most important aspects that many anglers overlook when buying a side imaging fish finder, is the depth capability of this feature. This is very important! 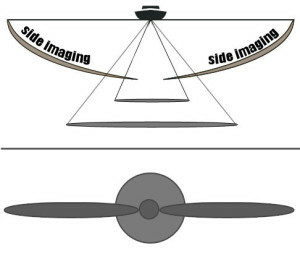 Side imaging is a type of sonar to use for shallow water fishing. Most SI sonars have a depth capability of 150 ft. (50 m). So, if you’re planning on fishing in deeper waters than that, this feature will be useless to you. When used for higher depths than it can scan, the image on your screen will be just blank. Or it may be able to show fish that are upper in the water columns, at depths that the SI sonar is able to scan. Another important aspect to consider is the way the images are displayed on the screen. Many anglers actually have the wrong idea that SI sonar works somewhat like an underwater camera, and you can actually see the fish on your screen. That’s not how it works! Even though with side sonar the returns are crystal-clear, they’re still sonar returns and not the actual pictures of fish. 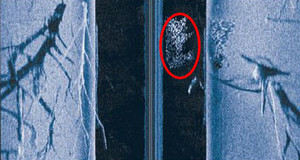 As I mentioned above, fish will appear on screen like small white dots, arches or elliptical shapes. 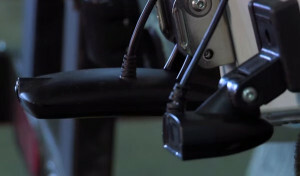 Of course, there are highly advanced units which can be connected to an underwater camera, so that you can see the camera feed live on screen, but that has nothing to do with sonar. Okay, so by now you should have a pretty clear picture of what this type of sonar technology is all about, and what it can do for you. But there are many more aspects you must not overlook, if you want to buy an SI fish finder, and not end up throwing money away. In case you haven’t thought of it, the type of boat you own may not offer the possibility to install and use just any fish finder. Now, most fish finders with SI are designed to be used on motorboats, bass boats, or vessels similar to the ones mentioned. An inflatable boat or a kayak may require custom modifications, in order to mount and use a Humminbird ONIX or a Lowrance HDS-9 Gen3. These modifications may cost you, and in the end, your unit may still not operate properly. Depending on brand and model, some units may include a transducer, and others may not. It’s important to make sure that the unit you will purchase, comes with a transducer. Otherwise, you will have to go through the process of ordering a transducer as well, wait for it to be shipped to you, and maybe even pay more than it would cost, if included with the box in the first place. Most fish finders recommended on this website come with a transducer though. In other cases, you may be able to change the transducer your unit comes with, for a different type. For example, if your unit comes with a transom transducer, you may be able to send it back and ask for through-hull transducer instead, if you require such a type of transducer. Side imaging is indeed an extremely helpful fish finding feature, that really does help you locate more fish. However, many fish finders featuring this type of sonar, also come with quite a bunch of other features that you may not need. For example, if you’re going to fish on the same 2-3 lakes you’ve been fishing your whole life, lakes that you know like the back of your own pocket, chances are you won’t need a package of fancy maps, or precision GPS. Evidently, each and every additional feature will increase the price of a unit. Therefore, prior to choosing your SI fish finder, look carefully at all its other features, and decide what’s useful to you, and what isn’t. The amount that you want to spend on a depth finder is one of the most important aspects to consider. Most electronics in this category don’t come exactly cheap. But in most cases, just as for flat screen TV sets, the price is proportional with the unit’s screen diagonal. The wider the screen, the higher the price. Keep in mind though, that a bigger unit, with a wider screen, doesn’t necessarily mean it has a superior number of features. A unit may also be capable to support certain technologies, but these are available only separately. It is important though, to have a wider screen for SideScan Imaging readings. That’s because the longer you stretch your side view, the smaller the fish returns will show up on your screen. If the screen is wider, returns will be bigger as well. 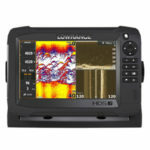 When it comes to the pricing of SideScan sonar fish finders, you will find units priced as low as $500, and up to $6,000. Of course, the ones highly priced provide a wide array of navigational features, and there’s a good chance one would be a bit of a stretch for a bass boat. On the other hand, you can find quite a complete unit within the $1,500 – $2,500 price range. So, in the last part of this post, you’ll find the best options by price, in terms of side imaging fish finders. The HOOK2-5 TripleShot is one of the newest Lowrance fish finders for 2018. It’s available in several bundles (with different charts), but the one with the US Inland maps is currently priced under $400. As an alternative, you can also opt for the Humminbird HELIX 5 CHIRP SI GPS G2 or the Garmin Striker 7sv, but these cost approx. $100 more. The Lowrance HOOK2-5 TS comes with the new TripleShot transducer, which is a re-designed TotalScan skimmer. This transducer is capable of 2D Broadband CHIRP sonar, DownScan, and SideScan sonar. The transducer comes with a transom mount, but it can also be attached to a trolling motor. With this transducer, the system can operate at 200/455/800 kHz. Plus, the unit is equipped with an internal GPS system… Read Full Review. 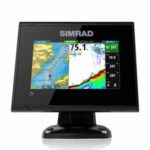 Although the Simrad GO5 XSE 000-12675-001 is a 5-inch unit, it offers an impressive array of features. First of all, in terms of fish finding features, it includes the TotalScan transducer. With this transducer, the unit can use a dual-frequency CHIRP sonar, DownScan, and SideScan. However, the unit is also capable of using ForwardScan sonar, but with the appropriate transducer. For navigation, the unit integrates a 10 Hz GPS system, which can update your position 10 times per second, calculate the speed of your boat, show coordinates, etc. It has a plotting function, can stock up to 10,000 waypoints, and includes a worldwide chart database. It offers NMEA support… Read Full Review. There are two Humminbird HELIX 7 CHIRP SI GPS units at the moment, the G2, and the G2N. The G2N costs a bit more but does offer several extra features. Apart from the fact that it is a fish finder and chart plotter unit, offering Side Imaging sonar, Down Imaging sonar, and DualBeam Plus sonar, all CHIRP enhanced, this unit is also i-Pilot Link, RADAR and AIS capable, it’s compatible with the Humminbird Bluetooth remote, and its built-in AutoChart Live features a couple of extra features. This HELIX 7 unit comes with the XNT 9 SI 180 T transom transducer, which is also temperature capable. It can use the 83/200 kHz sonar frequencies for its DualBeam Plus sonar, and 455 kHz for SI and DI. It’s equipped with a fast and accurate internal GPS… Read Full Review. 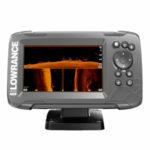 One of the first aspects to mention about this Lowrance fishfinder regards its improved processor. As opposed to the older HDS models, this one is equipped with a Dual-Core, High-Performance processor, which delivers faster redraws and a much quicker response. This processor also has a substantial impact on the unit’s sonar, providing faster sonar updates. The HDS-7 Carbon is equipped with a SolarMax display which delivers an excellent readability in direct sunlight; even though it’s a 7-inch unit, it has a pixel resolution of 1024H x 600V which results in very sharp images. In terms of sonar, the system includes the TotalScan transducer, being capable of SideScan, DownScan and traditional 2D CHIRP. It’s also ForwardScan capable. It’s equipped with a charts database from C-MAP and has a fast GPS… Read Full Review.